Exploration no. 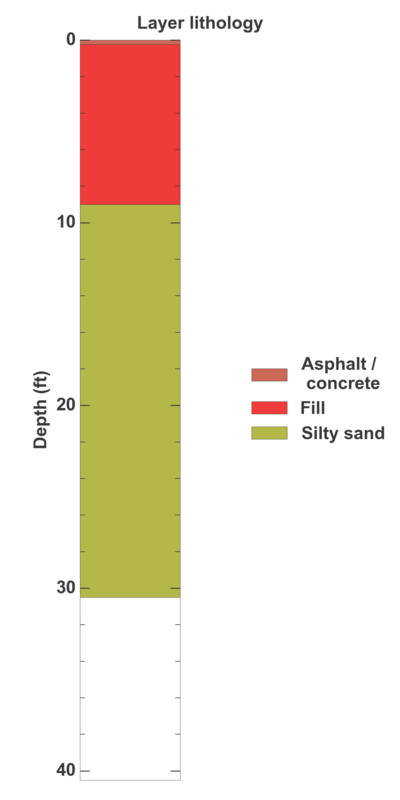 135232 is a Geotechnical (depth 31.4 feet) named: B-1 described in subsurface document no. 59280. The document, a report titled King County Children and Family Justice Center Redevelopment Project was prepared by Shannon and Wilson, Inc. on 11-29-2013 for a Retail / commercial building project.